As a former member of Melbourne post-punk bands Fungus Brains, Venom P.Stinger and The Moodists Mick Turner provided menace and a unique anti-rock approach to guitar playing, As the third cog in the Dirty Three wheel Mick provides the rolling rhythms and washes of sound for drummer Jim White and violinist Warren Ellis to explore and dance around to. As a solo artist Mick uses his brush not only for the cover art that inherits his and the Dirty Three album covers but to provide a canvas for himself and his invited artists to add their own colour too. He is like no other. Really. Mick’s new solo-album, Don’t Tell The Driver, was four years in the making and features guest appearances from Jeffrey Wegener, Caroline Kennedy, Oliver Mann, Ian Wadley, Peggy Frew and others. He has nailed it. 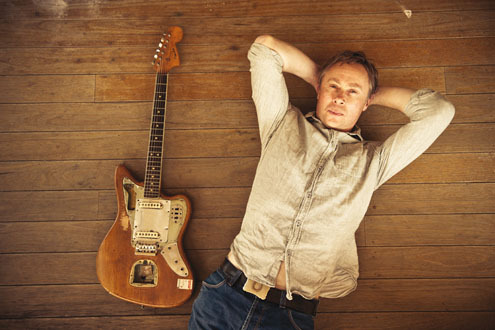 See Mick Turner on tour both solo and in band mode headlining as as special guest to Cat Power. Tickets on sale Friday 29 November @ 9am.